You are here: Home » Blog » Drink Driving » Drink drive levels in the UK – have we reached the limit? Drink drive levels in the UK – have we reached the limit? Currently the UK ‘enjoys’ one of the highest limits in Europe – 80 milligrams per 100ml (also known as 0.08%BAC, 0.40mL, 0.80gL, 35microgrammes per 100ml, 80 Promile… the list is endless). The only other European countries included in our elite gang of higher-level tolerances are Ireland, Luxembourg and Malta. The majority of the rest of Europe sees fit to limit the level to 50mg. Lithuania for reasons known to itself has decided 40mg is best. Norway, Poland and Sweden match at 20mg (bear in mind this is a QUARTER of the UK drink drive limit). A handful of countries have ‘ZERO TOLERANCE’ – rest assured, if you’re stopped in Estonia, Romania, Slovakia, Czech Republic or Hungary having had a sherry trifle, you should be wary. We have sponsored many events in the past, including the Cannonball Run – fast cars, long drives to the incredible cities of Europe, all in the name of apparently maintaining ‘an average speed of 60mph’ , raising well-needed funds for charity and above all, showing off the pride and joy of many wrapped up in a week of alcohol-fuelled fun. We went along a few years ago mainly because I REALLY wanted to, but also to be there for people to check their levels the morning after the night before. It was fun, and over the course of the week we really became acquainted with a certain few that we knew needed regular checking! The thing that shocked EVERYONE though was the fact that the limit in the rest of Europe was so much lower than that of the UK. (especially as this particular CB run took place in France, Italy & Belgium, flanked as ever by the highly visible transport police ready with their speed guns and breathalyzers!). Fact is, no matter HOW little you drink, it has a measured effect on your bodily responses and reactions. It is a drug and therefore that is in essence the reason for its very existence. The idea of the drink drive limit is NOT (no matter what people think!) a level to aim for, to be able to drink to. 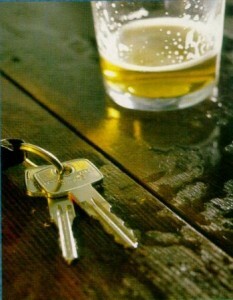 The drink drive limit is set at the point at which you are deemed SO dangerous that the only fair and responsible action is to remove your licence to prevent the event occuring again, for a designated period of time, with the subsequent licence endorsements/fines/insurance premium costs acting as the (hopeful) deterrent for repeat offences. That this level in the UK (and Malta and Luxembourg) should be 40% HIGHER than the majority of the rest of Europe simply makes no sense.